"Rabbit Under a Collard Leaf"
Join Quicksilver at AmericanaFest 2018 for a Dirty Kitchen Experience! Hear the 2018 AmericanaFest Spotify Playlist! Black & Tan Hall Awarded Seattle's Equitable Development Initiative Grant! 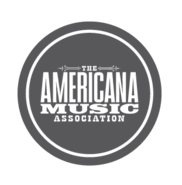 Quicksilver Artists Showcasing at AMERICANAFEST 2018! — Glen Herbert, Sing Out!